Me: Any interest in going to the Printers’ Fair Saturday? 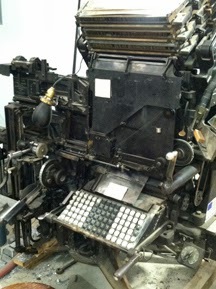 Me: A bunch of old printers with lots of cool old tools, and prints, and things for sale. I was going to go early though, because they sell stuff flea-market style in the morning. Andrew: Oh, man. You mean old-man-early. Like seven. I was a little surprised he was game, but I think it helped that the Threshers Hall is also home to a museum devoted to early farm equipment and relics of the prairie. A friend of his had told him about it recently, so he was sold. On the drive he said I shouldn’t be surprised if I looked up and he wasn’t there. 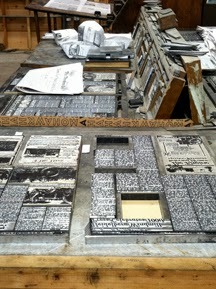 “I might go check out the farm stuff if I get overloaded on printing,” he said. He’s a good sport about these things. I try to pick art-related outings carefully so as not to wear him out. So far, he seems to enjoy them, and I love a dude who loves the art museum. C&Ps. I admit, I was drooling a little. 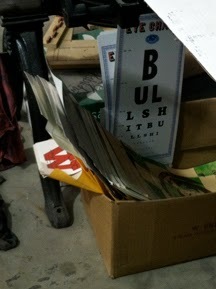 As we were poking around, leaning over the rails to get a closer look at things, Andrew burst out laughing and pointed to this box of printed eye charts. 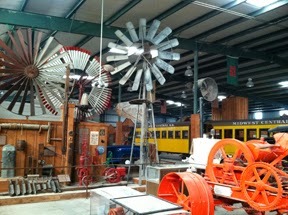 We ventured to the back of the building, where there was a surprising number of train cars, enormous farming equipment, windmills, and buggies. I learned how to properly harness a horse. 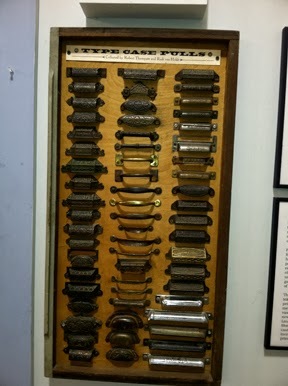 I saw how meat was cured at home back in the day. 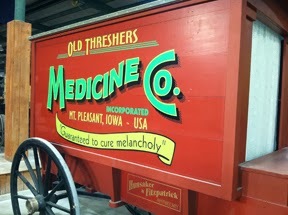 I saw a wagon that promised a cure for melancholy. 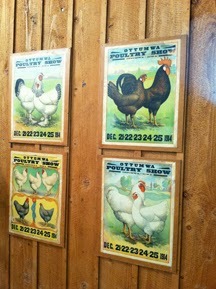 And there were these rad chicken prints. They made me nostalgic for my Gordo, Alabama days. Sadly, there weren’t a lot of people at the gathering. I like to think that they all showed up in early-bird style and we just missed them, but a friend of mine said the turnout was low. 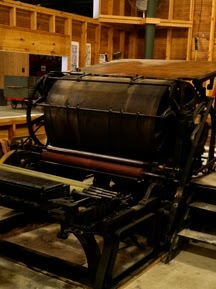 I talked to a printer from Des Moines (probably in his 30s) who had some funky prints and postcards, and talked to a man from Indianapolis (who was likely in his 80s) who claimed to have 50 old presses in his barn that he’d paid scrap prices for a couple of decades ago. 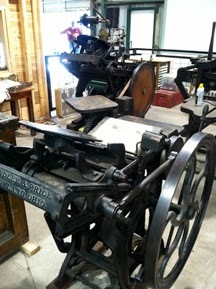 Even though letterpress printing seems to be in revival mode, there weren’t a lot of young pups in the crowd. 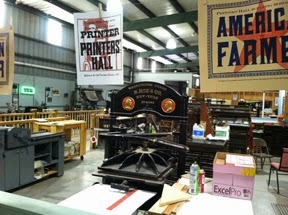 Hopefully things will pick up for the Great Midwest Printers’ Fair–the Threshers have a pretty amazing set-up there, and a lot of stories to tell. 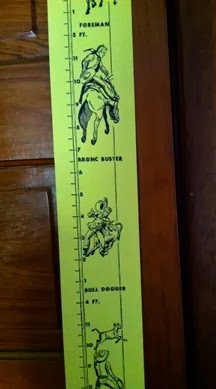 And so I left with my first housewarming gift for my new-again home in ol’ Carolina: a chart filled with cowboys to mark my continued growth as a printer and remind me of this fine Fall day in the midwest, where the folks still think I talk too slow and said “oil” the wrong way. But I’ll miss them a little bit in spite of that. Great post, and I love the pictures! Now I’m longing for some similar event I could visit.